Raindrop technique is a light touch that incorporates 9 Essential Oils. It promotes stress relief, reduces discomfort of muscles, bones, joints, and the brain, improves blood and lymph flow, improves functioning of the immune system, aids the digestive system, removes toxins, and diminshes bad organisms in the body. Vibrational Raindrop Technique combines traditional Raindrop with sound vibrations from tuning forks. Each session is specific to a certain organ or body system, the Classic or the Bible Oils. The vibrational frequencies of the harmonious blending of the therapeutic oils and tuning forks associated with your session promote the healing process. Prices vary based on the area you'd like your session to focus on. 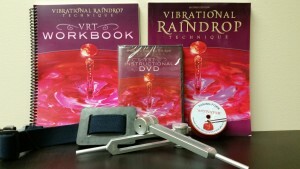 Visit our Vibrational Raindrop Technique page for in-depth explanations and fees. Emotional Releasing is an application of multiple essential oils that promotes the release of hidden or buried emotions and mindsets. Sessions take place in a calm and trusting environment. This process can enhance your wellness journey by allowing you to let go of negative emotions that may be holding you back. Take a step in faith towards the person you are meant to be. Traditional Massage Sessions integrate several techniques based on your individual needs. In her sessions, Sherry may incorporate Deep Fascial Release, Swedish, Deep Tissue, Lymph Drainage, Shiatsu, Neuromuscular, and Craniosacral therapies. "Essence of Pure Living, LLC., Wholistic Thermography, and Equine Thermography exist to help you learn, research and make good choices for your wellness. We are not attempting to diagnose, prescribe, treat any medical condition you have. Information included on this site is not intended to diagnose, prescribe, prevent, treat or cure any issue, illness, disease or condition you have. "